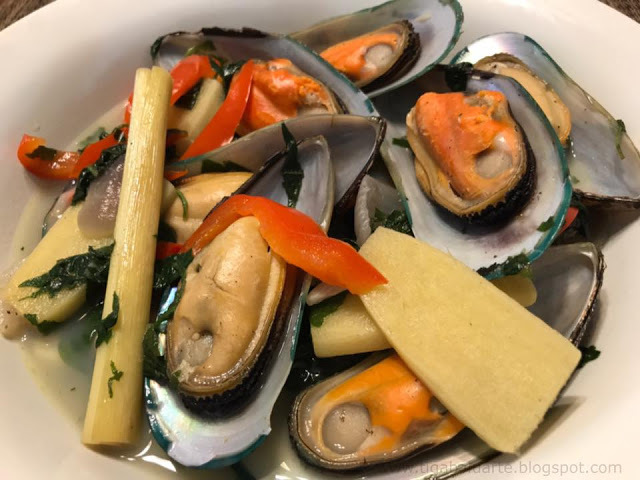 Baked Tahong or Baked Mussels makes a delicious seafood appetizer or pulutan. This Baked Tahong recipe is savory, little spicy and rich in flavor. So easy to make and delicious, reminds me of our favorite Chinese Buffet in Orange County. Serve warm with a squeeze of lemon juice and enjoy! 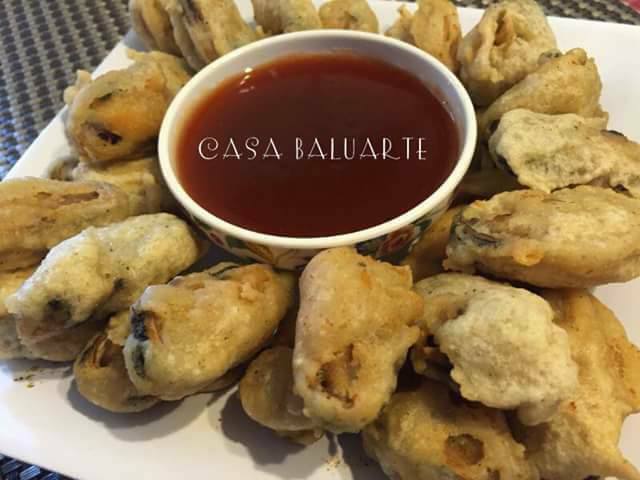 Baked Tahong makes an excellent easy to make party appetizer. Baked Mussels can be made many different ways and this is the simpler version. Baked Mussels on half shell with mayo, parmesan cheese, lemon juice and chili sauce. This easy Baked Tahong recipe is worth a try. Make it and share with family and friends. Great appetizer for parties or any gathering. I got all the ingredients from our local Walmart store. Don't forget to check related recipes below by clicking on the name link below the picture to see complete recipe(s). Rinse mussels in running water. Pull out the beards and discard half of the shell. Pat dry mussels with paper towel. Combine mayonnaise, lemon juice, cheese, sugar and chili sauce. Stir well to blend well. 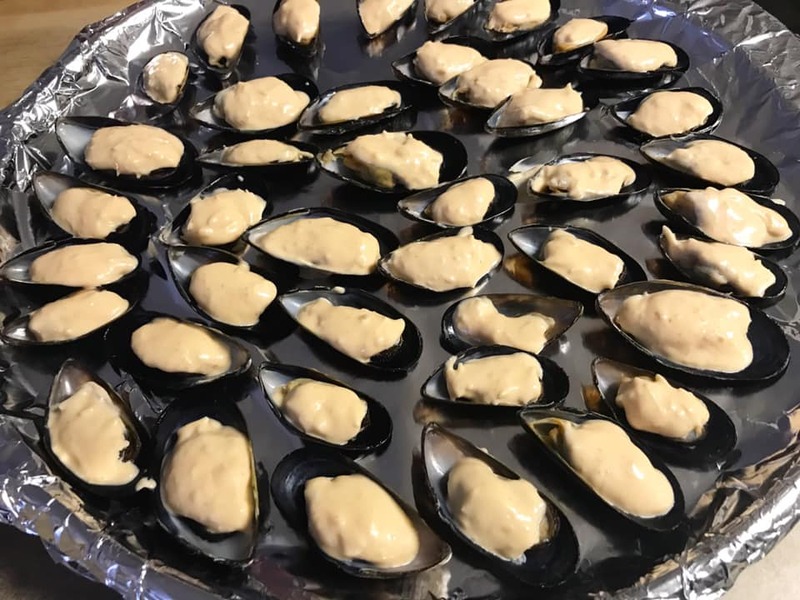 Lay mussels on a tray lined with aluminum foil. Top each mussel with about a teaspoon of mayo mixture. 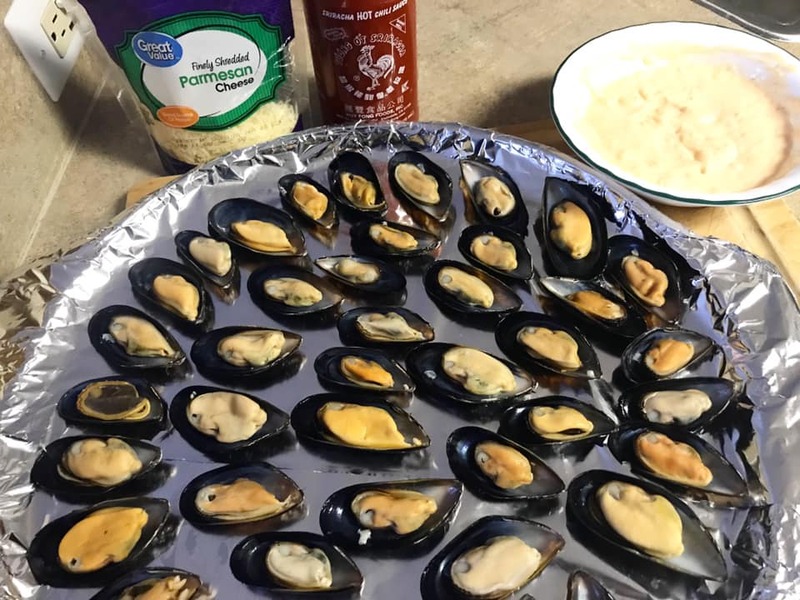 Bake mussels for 20 minutes and remove from oven. 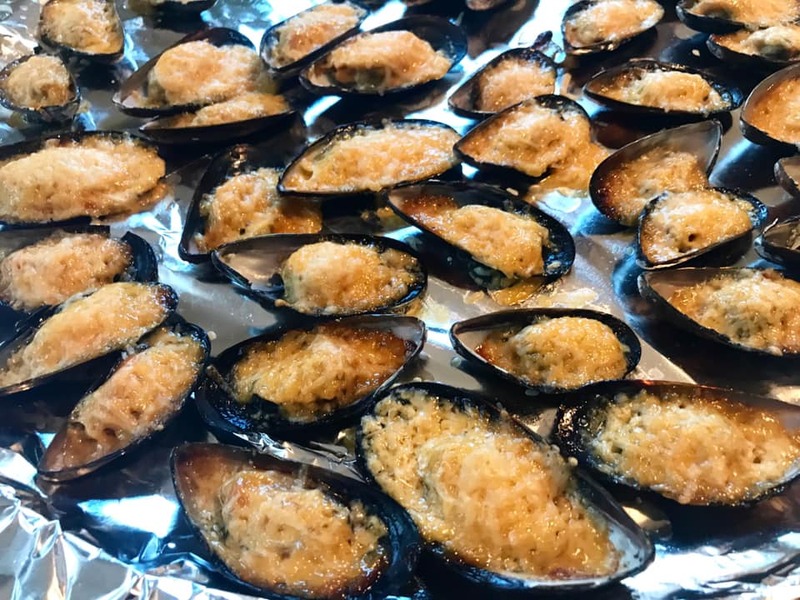 Sprinkle mussels with grated parmesan cheese and return to the oven. Bake for another 5 minutes or until the surface becomes golden brown. 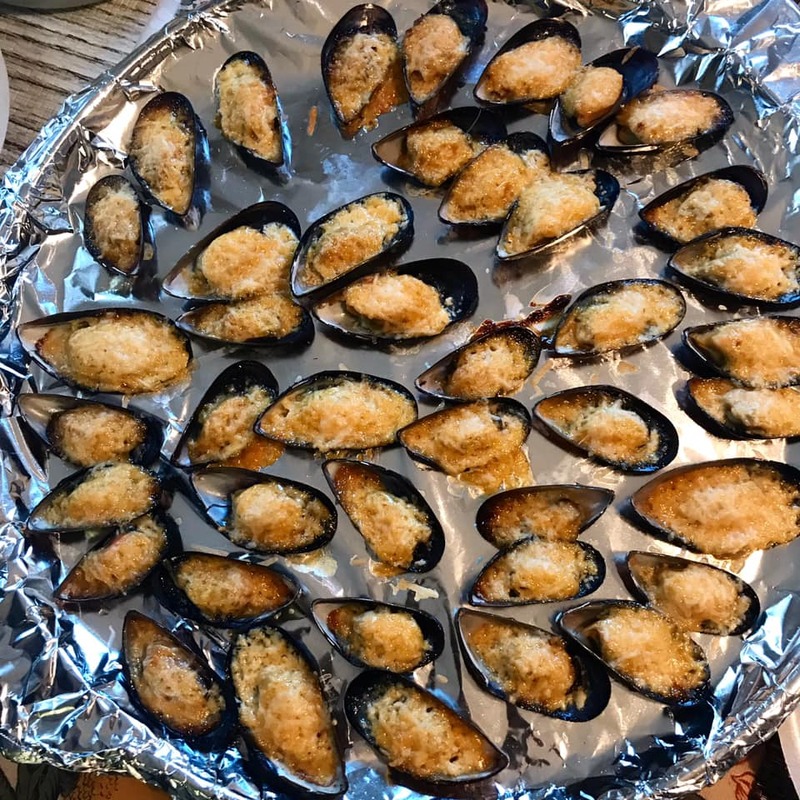 Remove mussels from oven and serve warm with lemon wedges. Enjoy!